Back in the old days, musicians would stare into a raucous crowd and discover the following things: a mosh pit of dancers, arms raised above their heads in triumph, and during the slow jams.. people holding up lighters and swaying to the music. Today’s musicians don’t have quite the same view. Imagine standing on stage, staring into the abyss, only to find that the only thing staring back is the blue glow of thousands of cell phones and tablets. The problem of cell phones during concerts goes beyond nostalgia. Pervasive use of cell phones – to contact people who aren’t at the event, to tweet out your impressions, or to snapchat yourself live – fundamentally changes the social experience of attending a concert. Many artists have decided to fight back by banning cell phone use. A new company called Yondr is leading the way. The company performs something akin to a coat-check mechanism for the digital age. With Yondr, you don’t have to surrender your phone, but it will be on lock down. Phones are put into a lockable pouch which remains locked until the end of the show. 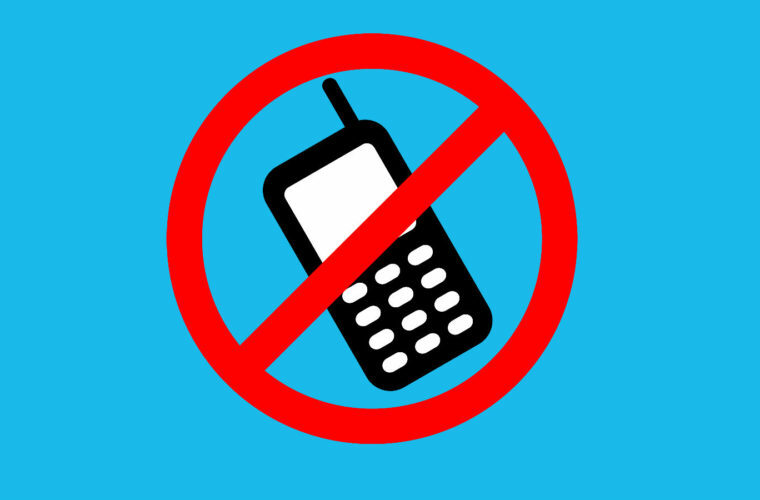 You keep the phone, but you won’t be able to take photographs, send text messages or take videos during the performance. The pouches allow signals to get through, so patrons can still feel it if there is an incoming text or telephone call. Yondr provides phone zones where you can use your phone in case of emergency. This state of affairs has many fans angered. What’s the point of going to a concert, some have expressed, if you can’t prove you were there? The answer to that question seems simple to Generation X, the last generation which attended concerts phone-free: sit back and enjoy the show. Artists understand why fans want their cell phones. The snap chats, tweets and text messages can be a good promotion for artists and their music. However, unlike taking old-school photographs, recording data from events is also a form of copyright theft. It not only makes unauthorized recordings, but it makes some performers feel less free. That was the problem for comedian Dave Chappelle, who wanted a way to stop fans from recording his live sets. Chappelle’s entire tours now require fans to use Yondr. He explains that he simply feels more free to share his life without being recorded. Comedians, including Tracy Morgan and Chris Rock, were the early adopters of Yondr. Others are also making the switch. Jack White once begged fans not to use smartphones, but he’s now teamed with Yondr to put the phones on lockdown. White gauges his performance by the feedback he gets from the crowd. “And if they’re not really there, I don’t know what to do next,” he told Rolling Stone. White’s spring 2018 tour will mark the first time a musician has used the service for every show. Many musicians are aggressive when fans film the show. Bob Dylan and Tool both have security eject fans who use their smartphones to capture videos. In addition to the distracting nature, which prompts Bonnie Raitt to request fans not shoot video until the encore, artists say they want to stop fans from uploading bootlegs to YouTube. Artists with younger fans have been more reluctant to simply ban shows. That’s partially because singers like Justin Bieber and Taylor Swift have never lived in an era without smartphones, and partly because they see it as an important marketing tool. Yondr was initially mocked by investors, who thought no one would be interested in the technology. But after founder Graham Dugoni turned to his hometown to fund the company, it has seen rapid growth and immediately turned a profit. Yondr is also becoming more popular outside the live performance space, as schools, restaurants, wedding venues and movie theaters are experimenting with the phone-free experience. The founder of Yondr thinks of the company as a kind of social movement that emphasizes being present with other people, rather than interacting with the phone.